Welcome to Bali! Thats what the view screams (well, whispers) at you as you stand by the outside deck of your villa. The plunge pool quietly waits for to climb in anytime you feel ready; while the birds, swoop and dive around putting on a ariel display to rival any aviation show you may have seen before. The rice fields below are the final beautiful touch. 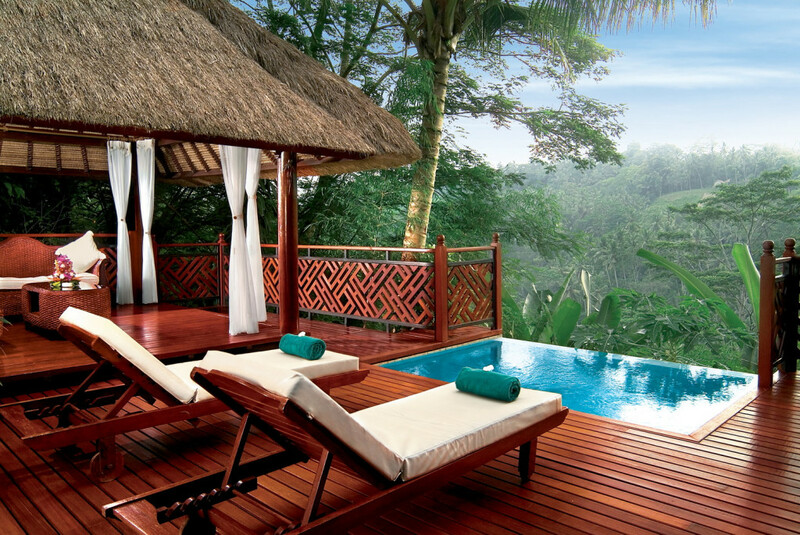 This is Kupu Kupu Barong Villas and Spa in Ubud, Kupu Kupu Barong actually translates as Butterfly, and we love it! 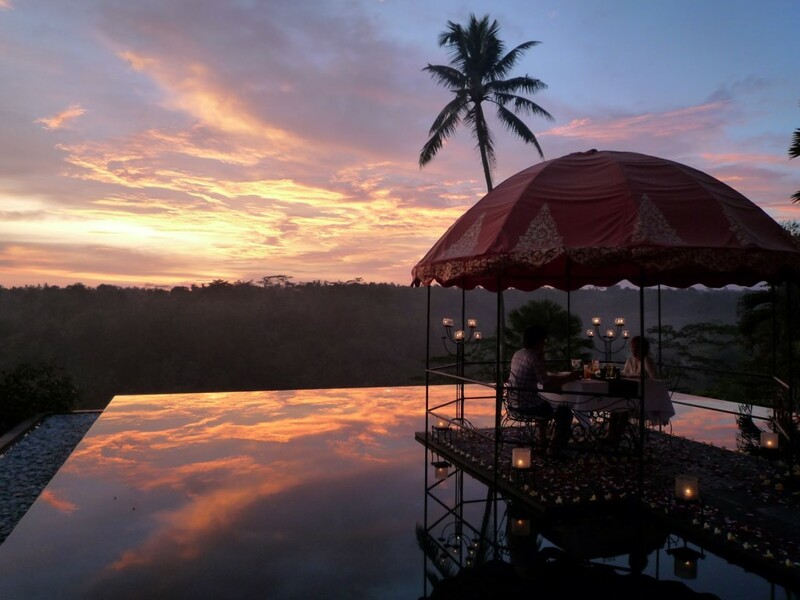 Ubud is a northern region of Bali, 31km translates as about an hours drive from the beachy fun of Semyanek, we decided to spend a couple of nights here to really experience more of Bali. To be honest the weather wasn’t great when we there, a little drizzle was never too far away, but it didn’t stop us from enjoying this beautiful slice of nature. The Kupu Kupu is super super (sorry, couldn’t help that!) relaxing. Great for lazy bodies who want to lounge around and enjoy the spa treatments. Amongst the nature, foliage and general charm. The location itself makes for great photos. One thing we have to recommend is room service, why you ask? Is the food that great? Well, the food is good yes but it’s not the food it’s how its brought to your room. The ever smiling staff balance the room service trays on the head as they walk to your room! it really is quite spectacular! Kupa Kupa Barong is waitng for you! Enjoy its quiet understated beauty.